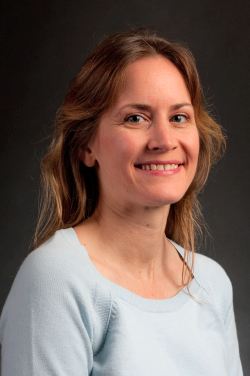 Dr. Amy L MacNeill is an Assistant Professor at College of Veterinary Medicine, University of Illinois. Dr. MacNeill did her PhD from University of Florida. Dr. MacNeill received various honors and awards. She has been handling various projects and published many articles in peer-reviewed journals. She is a member of various societies like American Society for Veterinary Clinical Pathology, International Society for Animal Clinical Biochemistry and many more. The primary focus of Dr. Amy L MacNeill's laboratory is to use poxviruses and genetically engineered poxvirus recombinants as novel treatments for cancer. She has a strong interest in promoting the study of dogs and cats afflicted with spontaneous tumors as models for human cancer patients. As a result of her research interests, several canine, feline, and human tumor cell cultures are being maintained and placed into cryostorage in my laboratory. In addition, she has a continued interest in studying host responses to poxvirus infection.